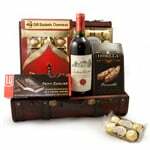 Send corporate gift baskets to multiple addresses and to over 200 countries easily when you use GiftBasketsOverseas.com's international corporate gift delivery service. 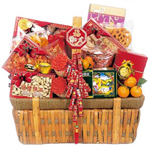 We'll handle shipping corporate gift baskets locally and all over the world for you, so you can manage more important tasks. 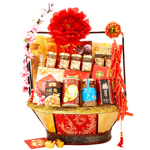 Shop for every important occasion - for any number of recipients, anywhere in the world - all in one place, with a single easy and secure payment, and your corporate gifts will be delivered quickly, on the date of your choice, ready to impress. Whether it's time to thank a VIP in Europe for his loyalty, a company-wide celebration of the New Year, or even an advertising campaign to important customers, we've got the experience, quality, and amazing service to handle all the details for you. 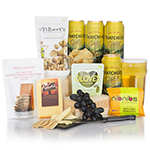 Order corporate gift baskets online that are guaranteed to be filled with the finest gourmet foods, premium wines and champagnes, high-quality spa products, and more - all with reasonable delivery fees. 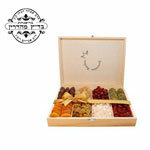 Best of all, when you order with GiftBasketsOverseas.com, you'll receive the best customer service in the business. Whether you have a single question or need assistance managing a customer loyalty campaign, our corporate gift experts are available 24 hours a day, 7 days a week. Our multilingual support staff can add branded cards and logos to larger orders, assist with product choices and customization, and even remind you of stats and recipients from previous campaigns. 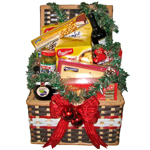 It's fast and easy to send corporate hampers to over 200 countries using GiftBasketsOverseas.com's secure automated interface. 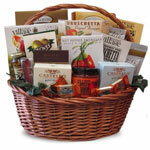 Visit our website and choose the country for delivery to order corporate gift baskets online. Fill out the delivery information for single orders in our easy-to-use online order form. Or easily manage large gift campaigns with 5 or more recipients by downloading our electronic order form in MS Excel format here. 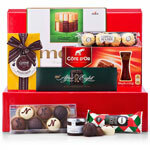 Enter recipient details and product information, and email it back to us. 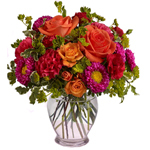 We will contact you shortly to finalize your order over the phone or online and process your payment. 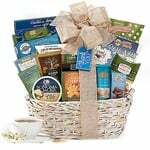 In just a few days, or on the date that you choose, elegant corporate gift baskets will arrive quickly to leave their impression on your recipients. 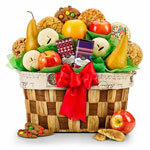 Use GiftBasketsOverseas.com's corporate gift delivery service to boost employee morale, or to maximize an advertising campaign. Give to supervisors, employees, VIP customers, or company partners anywhere in over 200 countries whenever you want to impress. 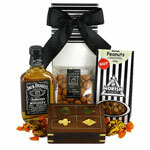 Order corporate gift baskets online from GiftBasketsOverseas.com and discover gift-giving made simple.